You won't see any hearts, clubs, diamonds or spades in this deck! In their place is are the crests of Gryffindor, Slytherin, Ravenclaw, and Hufflepuff! 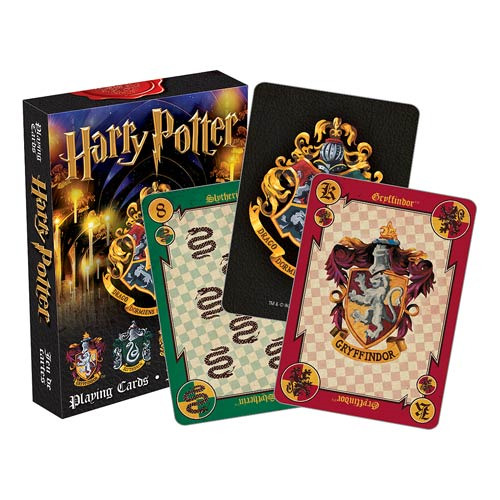 Play your favorite games with the Harry Potter House Crests Playing Cards. These nifty cards measure approximately 2 1/2-inches x 3 1/2-inches with a linen type finish. Ages 12 and up.